Industrial label printer for on-demand production. 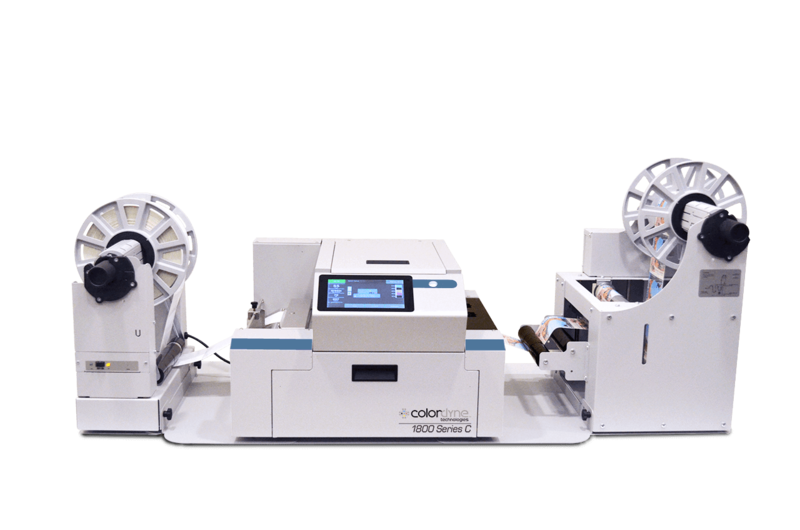 The Colordyne 1800 Series industrial label and tag printer provides brand owners and private label manufacturers with in-house digital inkjet print capabilities. Users have more flexibility to produce what they need when it is needed. This innovative, industrial print solution eliminates waste and reduces lead times, all while supporting customization and personalization strategies with variable data. Plus, the easy to use on-press interface, fast production speeds and high-resolution print quality makes creating affordable labels on-demand easier than ever before.